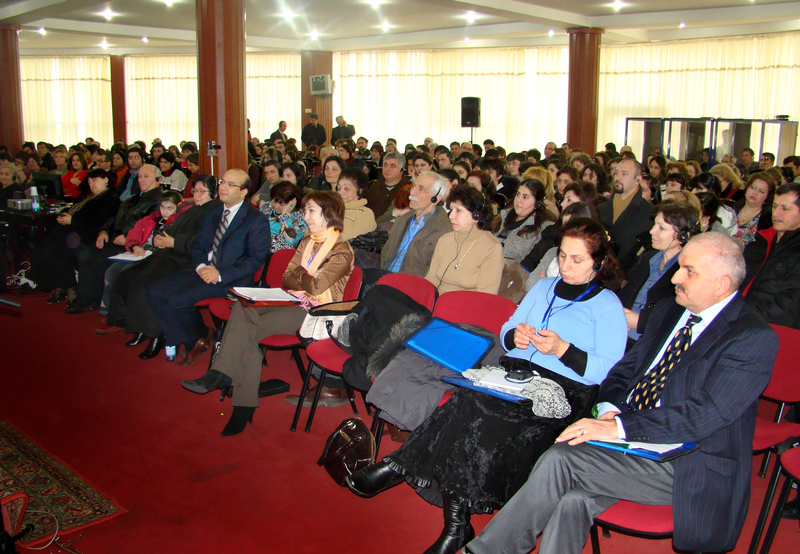 The regional conference for Azerbaijan, Georgia, and Turkmenistan drew 360 people to Baku, on the shores of the Caspian Sea, to celebrate achievements in the Baha’i work of the last two and a half years and consult about future goals. 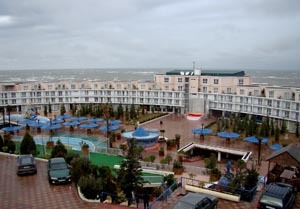 A hotel and conference center at the seaside served as the venue for the gathering, which attracted 27 Baha’is from Turkmenistan and 47 from Georgia, along with a large contingent from Azerbaijan and a few participants from other countries. 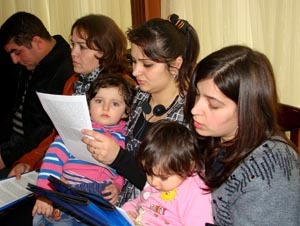 The group from Turkmenistan arrived by ferry from across the Caspian. Realizing that the weather might play havoc with their plans, they began their trip on Monday. 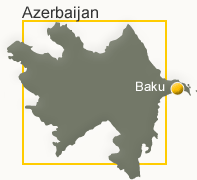 Indeed there were long delays, and they didn’t reach the Azerbaijani capital until Friday. Normally the trip takes 13 hours. The conference started with devotions at 9 a.m., Saturday. Participating as representatives of the Universal House of Justice were Mrs. Zenaida Ramirez and Dr. Ayman Rouhani, both members of the International Teaching Centre. Mrs. Ramirez gave the opening address, stressing that everyone must play a part if current community-building activities are to be successful. Dr. Rouhani also addressed the gathering, focusing on the institute process and the elements of a healthy pattern of growth. 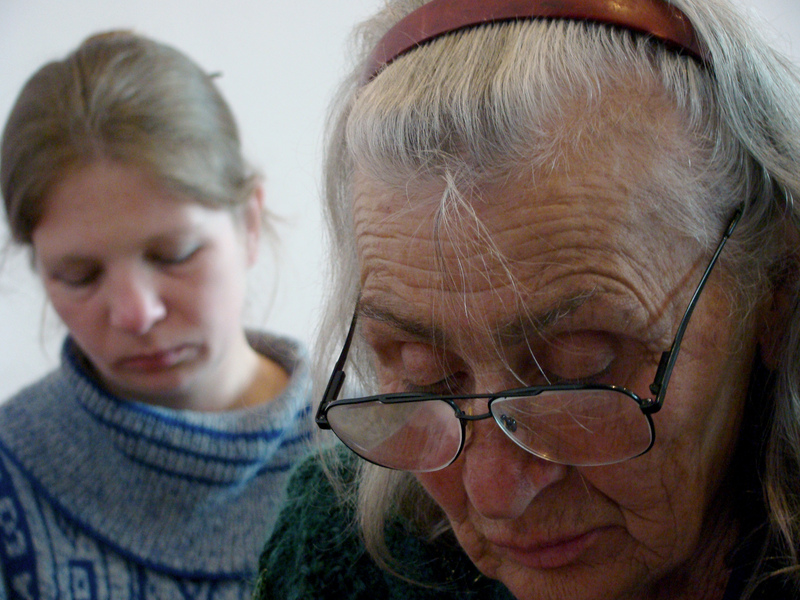 During the afternoon, 10 Baha’is shared experiences from their home communities. One of them was Carmela Nadji, who talked about participating in an institute campaign for youth of the Ashgabat cluster in Turkmenistan. She became completely engaged in the core activities, becoming a facilitator of classes for her peers and even serving as a member of the area growth committee. 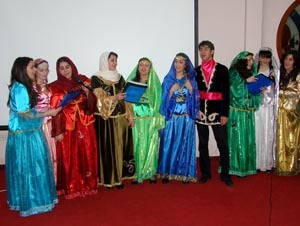 For the cultural program on Saturday, a group of Baha’i youth performed folk songs and national dances, while a children’s performance featured songs celebrating achievements in the past two and a half years – an artistic complement to the reports given earlier. On Sunday morning Delafruz Nassimova, a member of the Continental Board of Counselors, gave a presentation on current needs in the Baha’i work, particularly in terms of starting new core activities and programs of growth. She offered an overview and then focused on priority clusters and practical ways of mobilizing available resources. 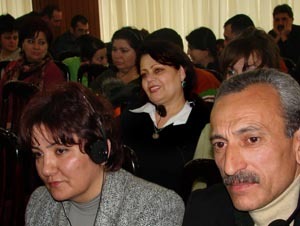 Conference participants then divided into workshops for planning activities in specific communities, and later gave presentations summarizing the results. Dr. Rouhani addressed the gathering again, saying that the conference would change the lives of the participants now that they understood better the nature of the work before them. 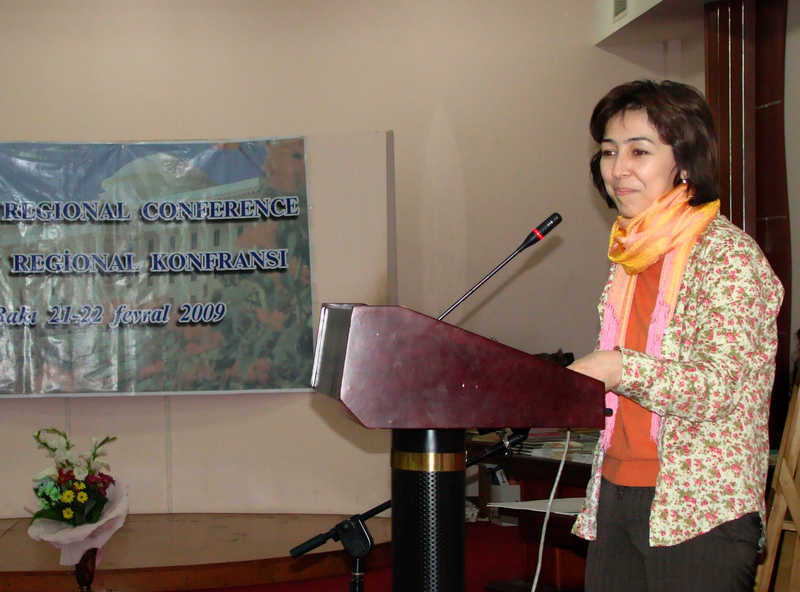 Mrs. Ramirez gave the closing talk, touching on the urgency of the task ahead but also reminding listeners of the glorious history of the Baha’i Faith in Azerbaijan. Counselor Ziboniso Solieva addresses the conference. Around 360 Baha'is from Azerbaijan, Turkmenistan, and Georgia attended the gathering. Participants broke into small groups on Saturday to study two messages from the Universal House of Justice. 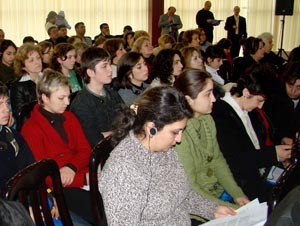 One of the messages from the House of Justice was specifically addressed to the Baku gathering. 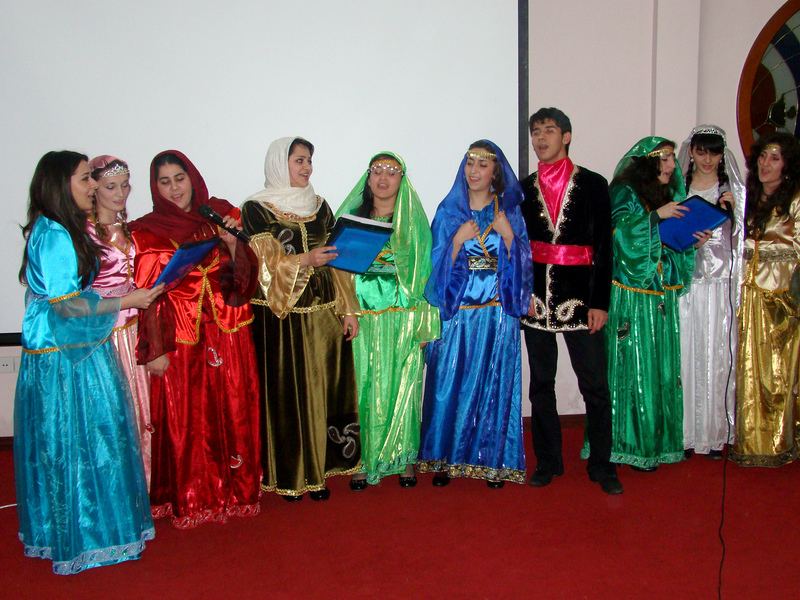 On Saturday evening a group of youth performed songs and dances in celebration of the achievements of the region. 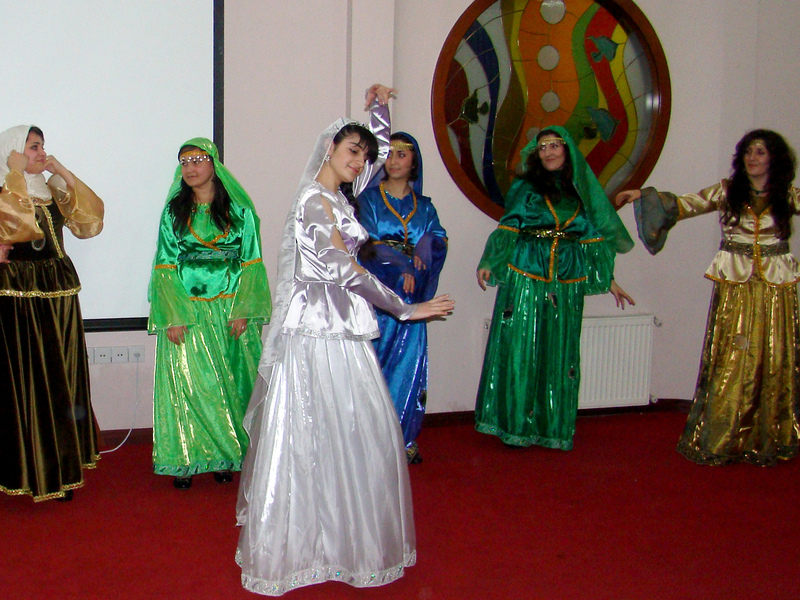 The cultural program included dramatic presentations that have been used in community outreach. Colorful performances helped add to the enthusiasm of those gathered. Breakout sessions provided participants the opportunity to consult on how best to put the weekend’s learning to use. Most individuals used the conference to make plans for their own involvement. At a Sunday breakout session, participants focus on the needs of their home community. The conference was conducted in English with simultaneous translation in Russian, Azeri and Georgian. Participants read one of the letters of the Universal House of Justice. Many people say the conferences have given them a clearer vision of how to address the needs of their community. The event was held at a hotel and recreation complex located on the shore of the Caspian Sea.